Learn how to improve your training and why it’s an important investment in your company’s future in this week’s reading list. letzNav Takeaway: Increasing productivity is one of the key benefits of an effective training program. One of the quickest ways to increase employee productivity is to decrease the amount of time they spend trying to use your enterprise software. Providing training and on-demand real-time guidance can greatly reduce the amount of time employees spend struggling to use enterprise applications. Employee training isn’t cheap. Companies spend an $1200 to $1800 per employee each year on training. But despite the investment, nearly 75 percent of employers don’t see any noticeable improvements. Worse, employees report the training was not effective or engaging. Employees find traditional classroom sessions boring and tedious. They don’t allow flexibility for employee’s schedules. Digital and virtual options allow employees to learn in more engaging and convenient ways. 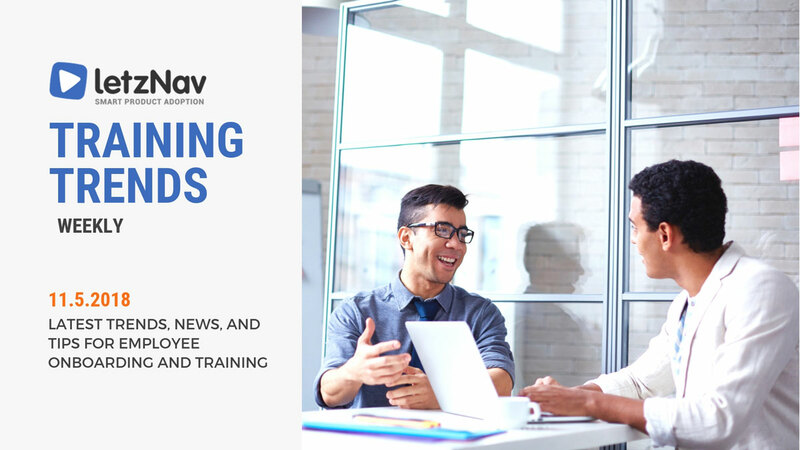 letzNav Takeaway: As the number of remote workers increases, digital training tools will play an even more important role in employee training and development. For many companies, it’s no longer feasible to expect their entire workforce to attend classroom training sessions. letzNav Takeaway: Investing in the right tools and training to better equip your workforce is a wise investment. Employees are less likely to leave and will be more engaged if they have the training to do their jobs and feel like a company is investing in their future.